This is a 12" 16 shoe Spartan with a Bacon tone ring. Curley Birdseye maple neck with an ebony fingerboard. The rim had an outside laminate of Birdseye maple and a clear maple inside laminate. The rim cap is Macassar Ebony. 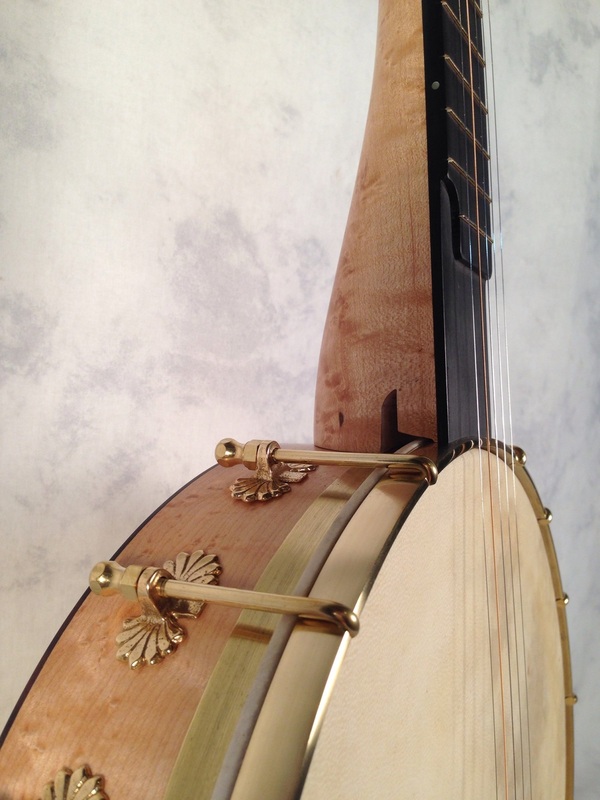 This banjo is for sale on the Banjo Hangout. Feel free to email me at brooksbanjos@gmail.com if you have any questions.